My February and March posts examined Hitler’s rise to power and the status of the Jews in Germany prior to WWII. If you missed these posts and would like to read them, here are the links - Interwar Germany: Setting the Stage for WWII and Hitler's Rise to Power, Part II. 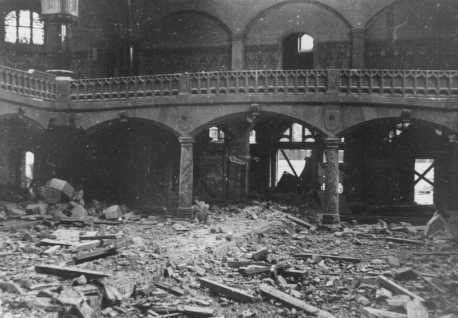 The tragedy of Kristallnacht, Night of the Broken Glass, took place in Germany, Austria, and the Nazi occupied areas of Czechoslovakia (Sudetenland) November 9-10, 1938, when the Nazis damaged or destroyed 1000 synagogues and 7500 Jewish businesses, sent 30,000 Jewish men to concentration camps, and beat 90 male Jews to death. 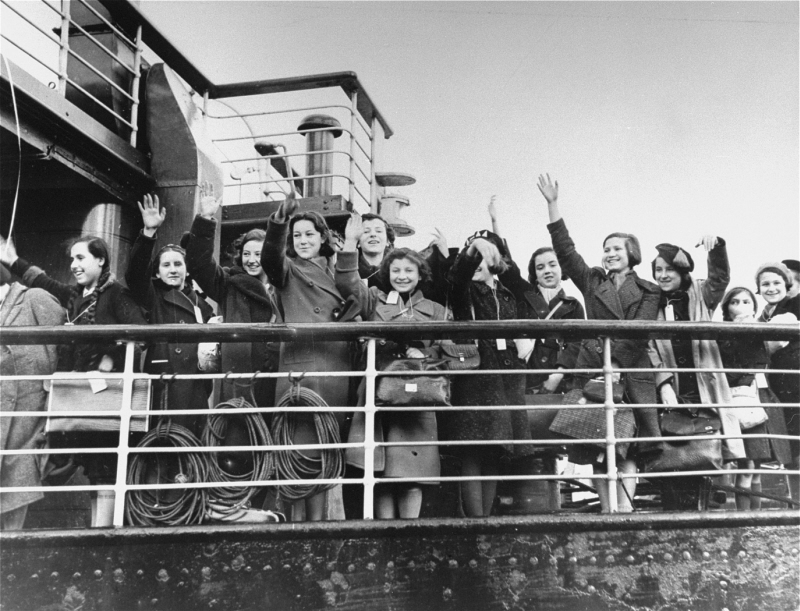 These events shocked the world; however, many countries, including the United States, only permitted a small percentage of Jews to immigrate, regardless of guarantees of financial support from relatives, friends, and acquaintances in those countries. Shortly after the events of Kristallnacht, a delegation of prominent Jews in England met with Prime Minister Chamberlain and requested that he allow young German children and teenagers to temporarily enter Britain, retrain, and re-emigrate at a later time. The Jewish representatives were most concerned about teenagers threatened with arrest and those already in concentration camps. The Jewish community guaranteed financial support for the refugee children and teens. As a result, the British government gave permission for unaccompanied refugee children under the age of seventeen years to enter the country and didn’t announce a limit to the number of children who would be admitted. Jewish and non-Jewish agencies assured the British Home Secretary that they would meet the financial needs of the refugee children, apart from government funds, and the children would only stay temporarily. The non-Jewish groups joined together and formed the non-denominational Movement for the Care of Children from Germany (later called the Refugee Children's Movement, RCM). Agents of the organization went to Germany and Austria and set up the selection, processing, and transportation plans. 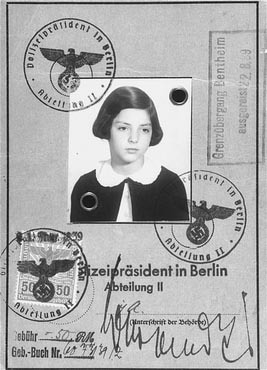 A representative of the Jewish refugee agencies met with Jewish leaders in Berlin, and volunteers gathered the names of the most endangered children- “teenagers who were in concentration camps or in danger of arrest, Polish children or teenagers threatened with deportation, children in Jewish orphanages and those whose parents were too impoverished to keep them, or those with parents in a concentration camp” (Cesarani). Through radio broadcasts, the BBC Home Service appealed to the British people to provide foster homes, and five hundred people answered the call. Jewish and not-Jewish volunteers visited the homes of these potential foster parents and reported on the conditions. Several hundred immigrant applications were sent from Germany to London each week, demonstrating the urgency of the situation. British volunteers processed the applications, many of them working around the clock, grouping the children in lists and sending travel arrangements to the parents and guardians in Germany. 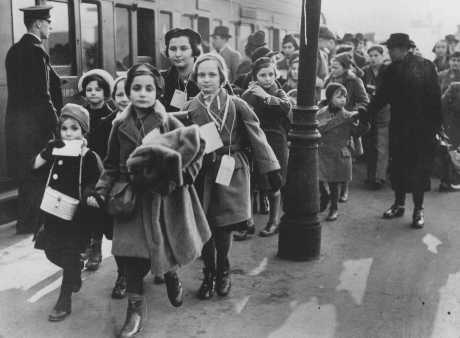 The Nazi government allowed the refugee children to take only a small amount of money out of the country, but some parents placed valuables in their children’s luggage. The parents told their children that the separation was only temporary, but many children became angry and felt rejected, while others were excited about the journey. The children later felt guilty for these responses. 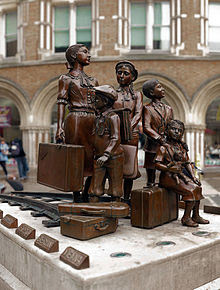 The first Kindertransport left Berlin by train on December 1, 1938. The first transport from Vienna left ten days later. The trains traveled across Germany and into the Netherlands and Belgium. At the border crossings, German guards terrified the children by “rifling” through their luggage. The children boarded ferries at the hook of Holland and sailed to Harwich or Southampton, England. 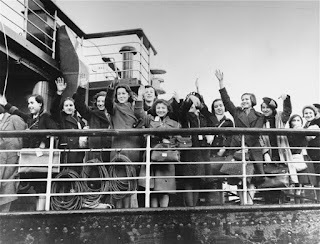 After delivering the children to England, the German adults who had accompanied them returned to Germany as required by arrangements made between England and Germany. One of these adults lost his own wife and child to the gas chambers at Auschwitz and suffered as a laborer in the same camp. For the first three months, most of the Kindertransports were from Germany, but later the number of transports leaving Austria increased. Nicholas Winton, a 29-year-old stockbroker from Britain, witnessed the plight of the refuge children in Czechoslovakia and organized Kindertransports from Prague. Many of these children had fled with their families from Germany, Austria, or the Sudetenland and were living in squalid refugee camps. 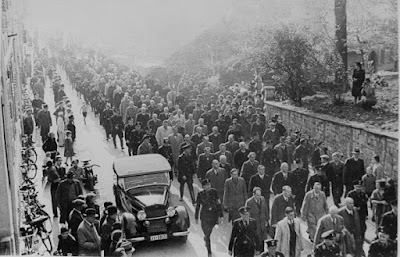 After the Germans occupied Czechoslovakia in March of 1939, the transports continued, but all came to a halt after Germany invaded Poland on September 1, 1939. Hundreds of children waiting to leave Nazi-occupied territory could no longer escape. Most of them did not survive the war. Close to ten thousand lives (70% Jewish) were spared through the Kindertransports. The majority of these children never saw their parents again. Some of the rescued teens eventually joined the armed services and fought to free their homelands from the vicious grip of the Nazis. Many remained in Britain after the war, but others emigrated and settled in various countries around the world. We will share their stories in the coming months. Heartbreaking and wondrous all at the same time. Praise God for the people who saw the necessity for this effort. It would be interesting to hear some stories from these children. 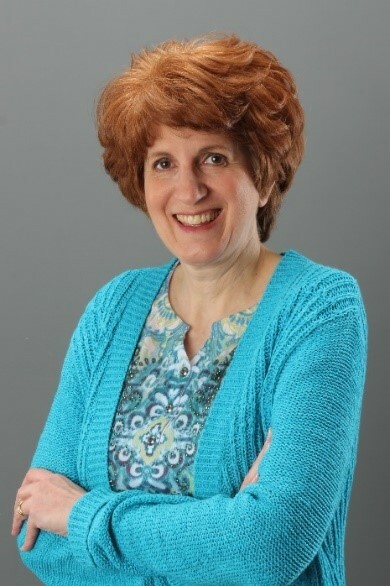 Hi, Connie. Thank you so much for reading my post and replying. I'll be sharing stories about these children for many months to come. So many more lives were spared than the initial 10,000 because of all the children, grandchildren, and great grandchildren born to those who fled the Nazis. Cindy, a heartbreaking along with rewards from the Kindertransports. I have tears in my eyes as I'm typing from reading this historical post. A huge undertaking with good results. A book written about survivors and what became of their lives would make a great historical story. God bless. Marilyn, I'm so glad this story touched you. In my reading, I learned about a mother and father who changed their minds at the last minute and pulled their daughter off the train. The whole family was eventually sent to a concentration camp, but the girl was chosen for work detail, and she survived her internment and the war. I've heard about the Kinderstransports, but I didn't know all the details. So sad that so many of the children never saw their parents again. I can't imagine how the parents must have felt. It makes my heart heart. And yet so many lives were saved. Vickie, thank you for commenting. I'll be sharing stories about parents who made it out of Nazi territory and were later reunited with their children, but there weren't many. The parents and children were able to correspond until the war started and then only through Red Cross intervention. Man's inhumanity to man knows no bounds. Those photographs are heart wrenching. It seems that God's chosen people have always been a target. Hi, Stephanie. Thank you so much for reading and commenting on my post. It's so hard to believe that this atrocity took place not so long ago - during my parents' lifetime. It's even harder to understand why the U.S. didn't respond as magnanimously as the British. Thank you, Gloria! It's so good to hear from you. I'll keep writing as long as people keep reading. :) There are many more stories to tell. Thank you, Cindy, for sharing this part of the world history. I know it's something I knew little about before I read your interesting story. Hi, Ruth. Thank you for your kind comments. I enjoy discovering and sharing lesser-known events from history, especially when the stories involve saving lives. More to come!